The spinal cord supplies origin to 31 pairs of spinal nerves. Each and every muscle in the body is supplied by one or more spinal nerves. Myotomes is said to be a portion of skeletal muscles which is innervated by a single spinal cord level. In simple words myotome is defined as a group of muscles which is innervated by single spinal nerve root. Myotome is a part of somatic nervous system and the somatic nervous system is a part of peripheral nervous system. Myotomes re much more complex to test then dermatomes, since each skeletal muscle is innervated by nerves derived from more than one spinal cord. 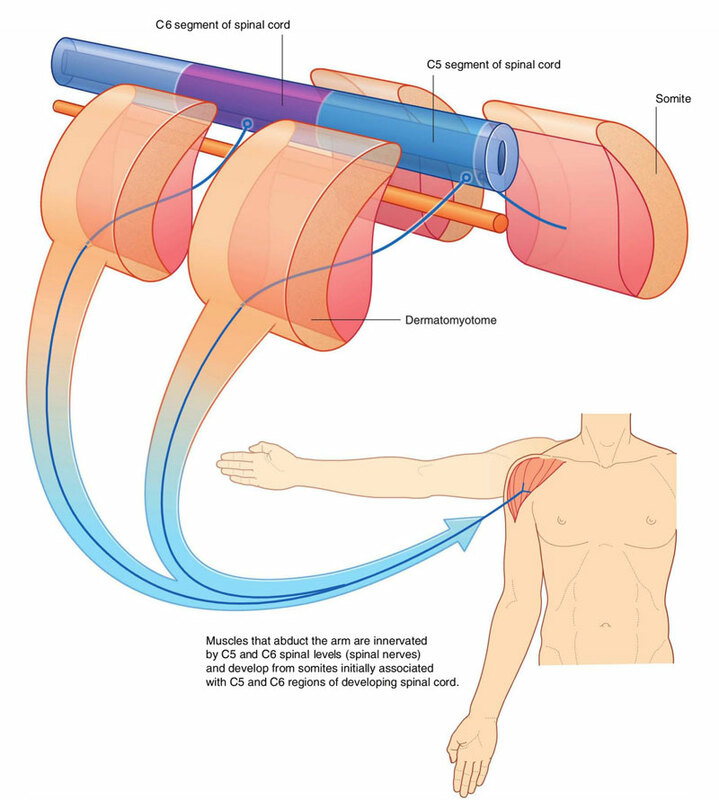 Muscles which are responsible for the movement of the shoulder joint are innervated by spinal nerves from C5 and C6. Muscles which are responsible for the movement of the elbow joint are innervated by spinal nerves from spinal cord levels C6 and C7. Muscles of the hand are innervated primarily by spinal nerves from spinal cord levels C8 and T1 .